The Animalier sculptors specialized in portraying the relationship between predator and prey. 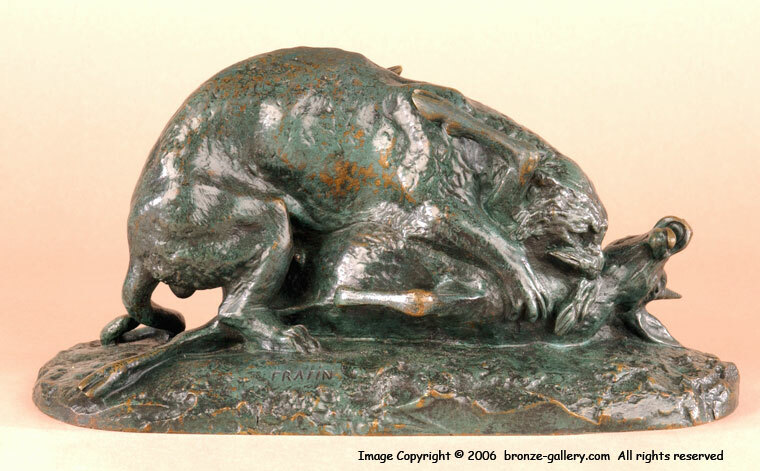 This rare Fratin bronze of a Panther attacking an Antelope shows the big cat in an almost loving embrace with the small Antelope, capturing the moment when the prey ceases to struggle and becomes a meal for the Panther. 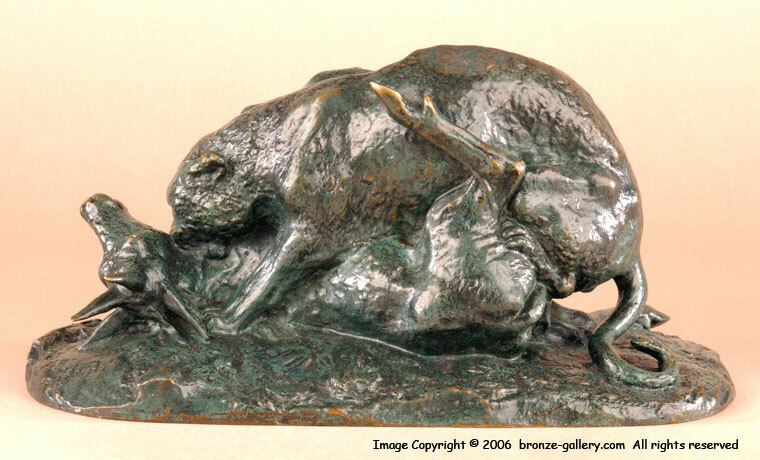 The cycle of life in the wild depicted in sculpture. This bronze is finished in a dark green and brown patina and is finely cast with much detail. A rare model that is almost impossible to find.